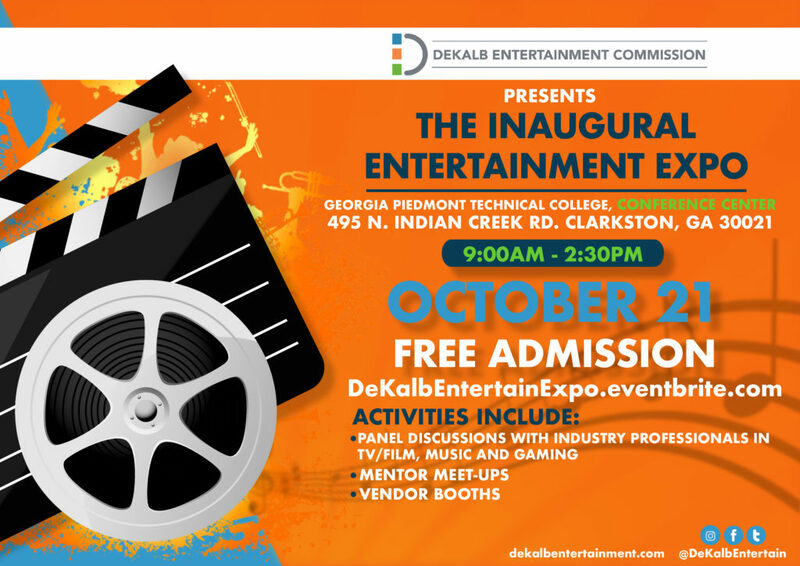 On Saturday, October 21 from 9 a.m. – 2:30 p.m., the Commission will host the Inaugural Entertainment Expo, with resources and information for DeKalb companies and professionals seeking to build their presence in the entertainment industry. 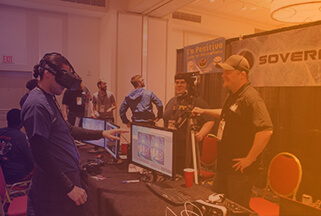 Dozens of panelists, mentors and vendors will be on-hand to provide support and expertise. Panel discussions with industry professionals in TV/Film, Music, Digital Entertainment and Gaming. When: 9 a.m. – 2:30 p.m. Please register at this link. For complete details on the inaugural Entertainment Expo Panels, click here. 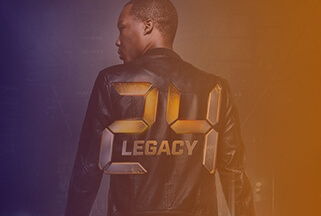 MUSIC PANEL 1 | 9:30 – 10:45 a.m.
MUSIC PANEL 2 | 11 a.m. – 12:15 p.m.
FILM & TV PANEL 1 | 9:30 – 10:45 a.m.
FILM & TV PANEL 2 | 11 a.m. – 12:15 p.m.
DIGITAL ENTERTAINMENT PANEL 1 | 9:30 – 10:45 a.m.
DIGITAL ENTERTAINMENT PANEL 2 | 11 a.m. – 12:15 p.m. 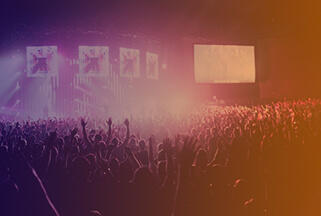 COMBINED MUSIC, FILM, TV and DIGITAL ENTERTAINMENT PANEL | 1 – 2:15 p.m.